Our Kids Martial Arts Programme Offers Age-Specific Taekwondo Training For Everyone! At Wirral & Chester Taekwondo, we are proud to offer age-specific Kids Martial Arts training that can help every child thrive! 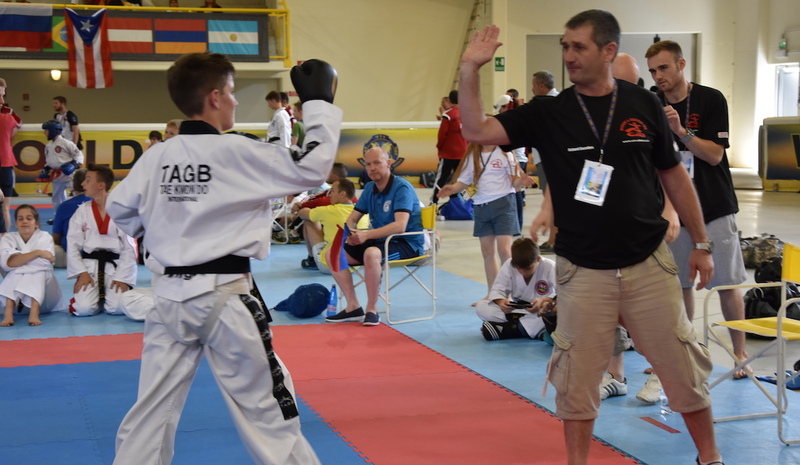 Our system is built on the art of Taekwondo and our instructors are dedicated to making sure every child can enjoy hands-on instruction and individualised attention. Join us today and treat your child to an incredible experience! 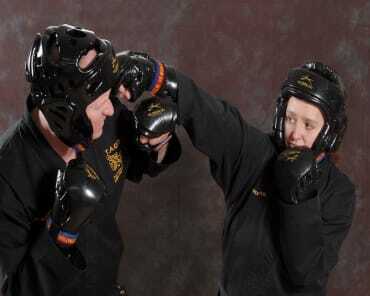 Our Kids Martial Arts Classes In Wirral Have Something For Everyone! We know how important it is for young students to be surrounded by classmates of their same age and experience level. That's why our Kids Martial Arts programme offers students across Wirral access to targeted Taekwondo training beginning at 18 months of age. 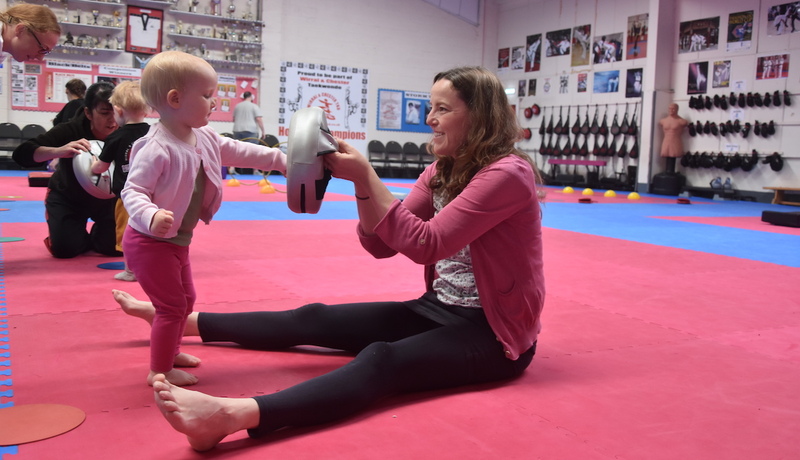 Ninja Totz (Ages 18-36 months): Our Ninja Totz programme is the best way to introduce your little one to the world of Taekwondo. This system covers the very basics of balance and movement while always maintaining a safe and supportive environment. Mini Ninjas (Ages 3-4): Within the Mini Ninja programme, we cover 1 of 8 skills per class, including: Kicking, Punching, Blocking, Crawling, Hopping, Rolling, Running, and Catching. Throughout the programme, our ninjas will also learn some of the key foundations of Taekwondo. Little Ninjas (Ages 5-6): Our Little Ninja programme is specifically designed for children ages 5-6 and covers 1 of 8 skills per class, including: Teamwork, Focus, Control, Memory, Discipline, Balance, Fitness and Co-ordination. 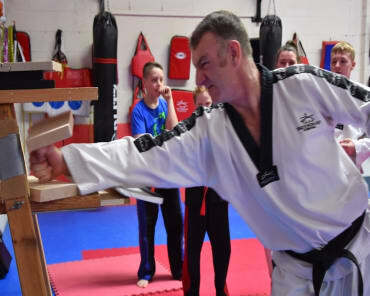 Throughout the programme, our ninjas will also learn some of the key foundations of Taekwondo. Juniors (Ages 7+): Our Juniors programme introduces students to an exciting progression of Takewondo training with an emphasis on developing their Self-Control, Focus, Bully Defence, Stranger Danger, Self-Confidence, and Self Defence. 1-2-1 Sessions: Enjoy individualized instruction with a professional trainer. These private lessons can help you improve your skills in no time! And don't forget about our Family Martial Arts training, where students 7+ can train alongside mum and dad and have a blast in the process! Get Started Today With The Best Kids Martial Arts Classes In All Of Wirral! If you're looking for a great way to develop your child into a successful young adult, look no further. 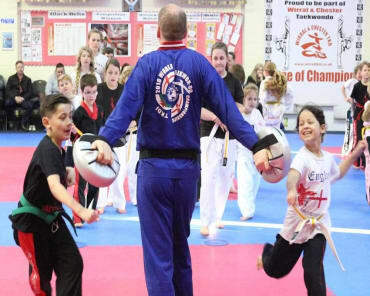 Our Kids Martial Arts programme has been building up students across Wirral for more than 20 years and we can't wait for your child to be next. Just fill out the short form on your screen to learn more about Wirral & Chester Taekwondo or to get started today!